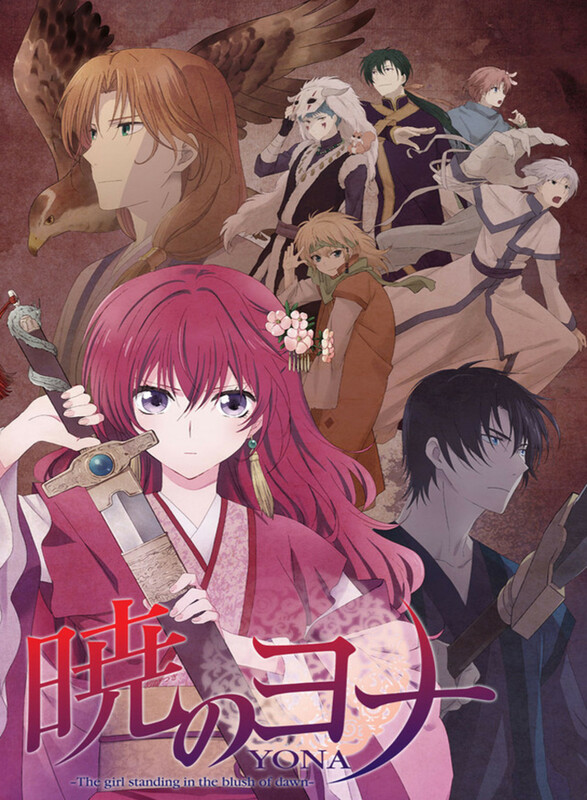 Yona of the Dawn first aired on October 7th, 2014 and concluded on the 24th of March, 2015. The story follows Yona, a young princess living a life of luxury and lavishment, completely sheltered away from her kingdom. During the lead up to a celebration, Yona’s cousin Su-won visite the castle with evil intentions. While the smitten Yona fauns over Su-won, he betrays her trust by murdering the current king, Yona’s father. Su-won then proceeds to annexe the castle forcing Yona to flee with her personal bodyguard Son Hak, A man dubbed the Lightning Beast for his ferocity and speed in battle. Now believed dead Yona if forced to grow up and face the world that she has been locked away from all these years. If she is ever to regain control of the crown she will need to hunt down and recruit the aid of the four dragons warriors, each who are sworn loyal to the crimson dragon. My review: Yona of the Dawn had a very strong start. I liked the whole idea of going on a quest to find four people and forming a band of rebels. But when we got to episode 24 of 24 and still only had three of the four dragon warriors, I knew that this series was dead in the water. Which is really a shame considering the promise it showed at the start and considering where we are now I highly doubt there will be a continuation. One thing I will say is that there are quite a few striking similarities between Yona of the Dawn and Nickelodeon’s Avatar. A show that was overall mediocre with some decent moments, Yona of the Dawn is not something that I would recommend to the average anime viewer. However, if you have a personal interest in feudal Japan mythology and warfare then I would absolutely recommend this show. Don’t forget to share and follow The Anime Accord on all the social site and visit our Patreon if you feel like supporting us. Arigatou. I don’t see that many people reviewing older anime nowadays. It’s a nice change of pace. Keep it up! I write reviews for the anime I watch, publish Top 10 lists and all things anime. Feel free to share you opinions of the Shows I have reviewed and let me know if there are any shows you think I should review.